Fuchsias are versatile, hardworking shrubs that will flower virtually all summer long. For a reasonably small amount of effort, you’ll be rewarded with a glorious show of pretty pendant flowers. This plant grows happily in sun or partial shade, whether planted in borders, beds, window boxes, hanging baskets and containers. In fact, they bring color to almost any position that you can shake a trowel at. You can choose between evergreen or deciduous varieties. 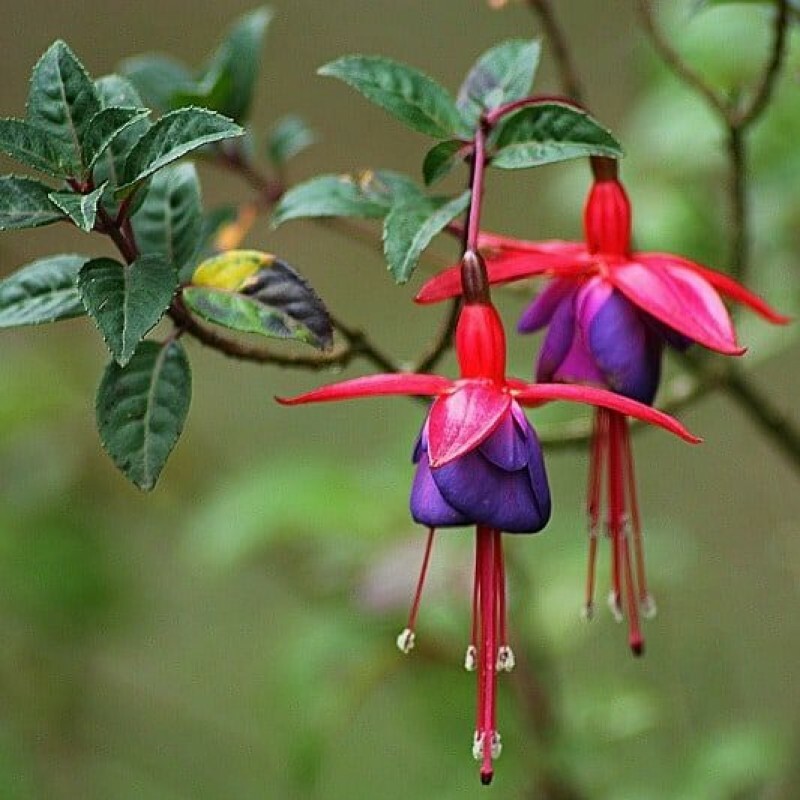 Fuchsias like to be watered regularly; you want to maintain moist but not waterlogged conditions.